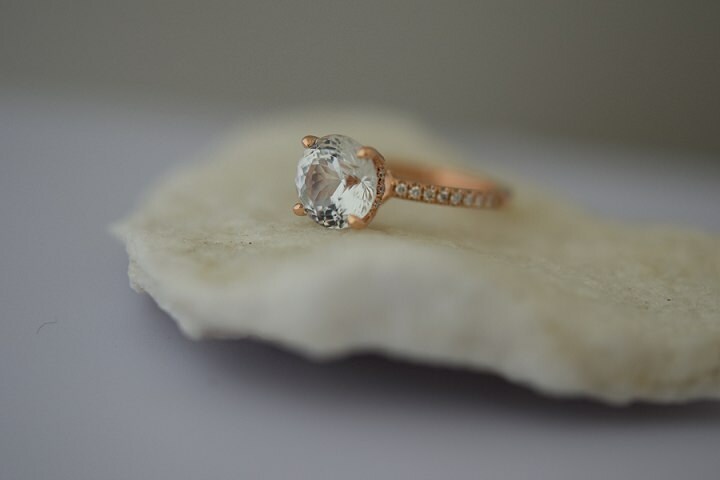 This afternoon I have something truly special for any of those jewellery lovers out there, or for any of you currently looking for your dream engagement ring! 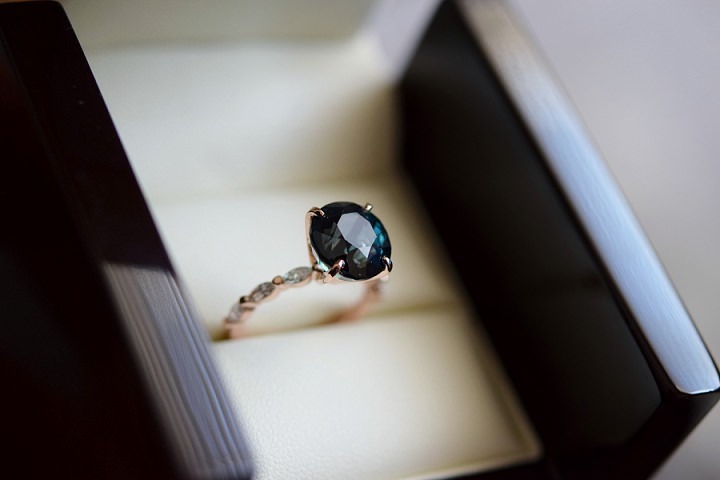 Eidel Precious is a specialist jeweller who works with the most stunning sapphires. 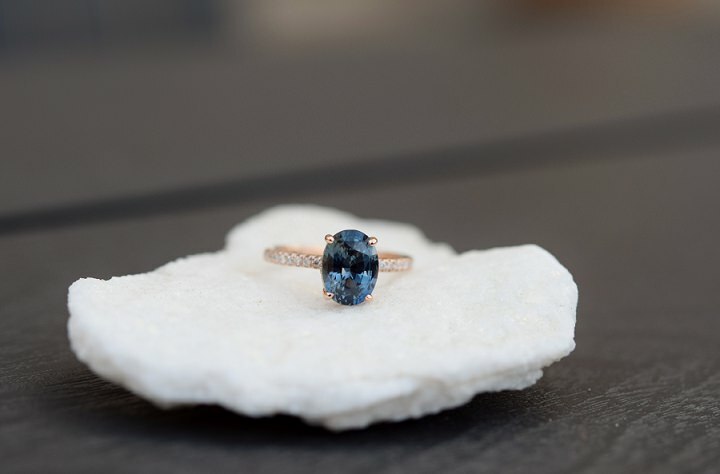 In mixing the soft peaches, deep blues and green Sapphires, the incredibly versatile Eidel Precious stones are modern, light, delicate and perfect for the boho bride looking for something a bit different. 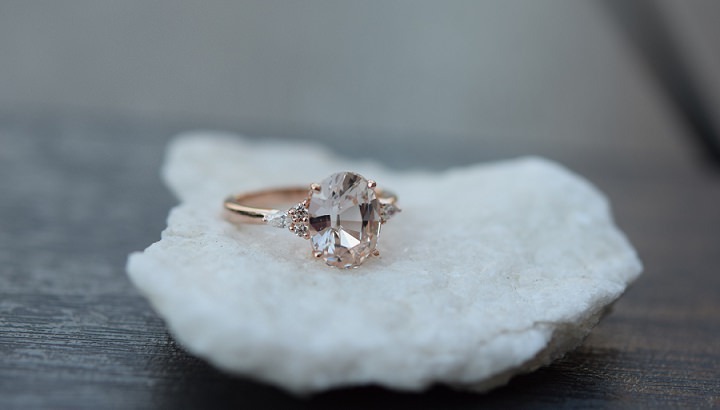 These amazing stones are set in rose gold or white gold and all accented stones are diamonds. How brilliant do they look!! 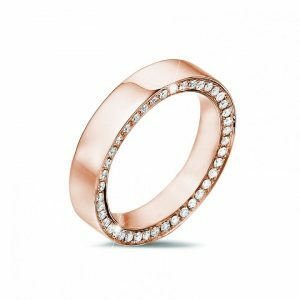 Eidel, the founder of this gorgeous company, is here to tell you a bit more about the rings, the styles she offers and how much they cost. I always had a passion for colored gemstones. As a child, I loved to collect semi-precious minerals at the seashores in Europe. 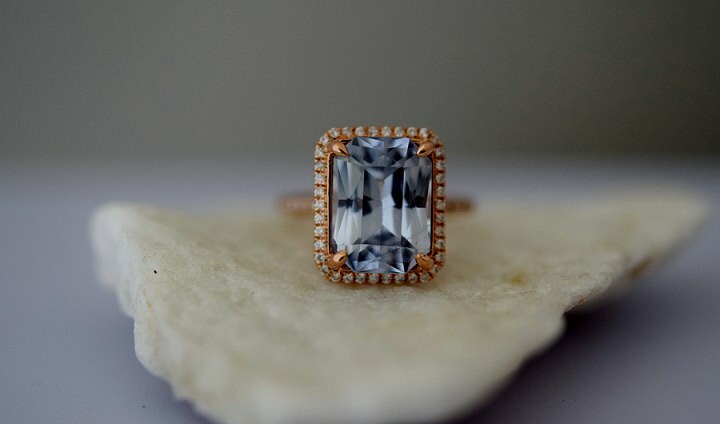 It has been my long term dream to design jewelry that brings out the uniqueness of each gem. 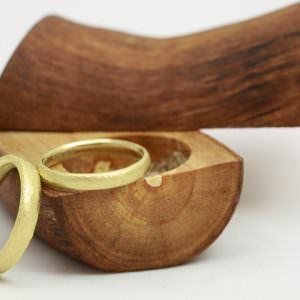 I opened my Etsy shop in 2007, it was called Eidel Jewelry. 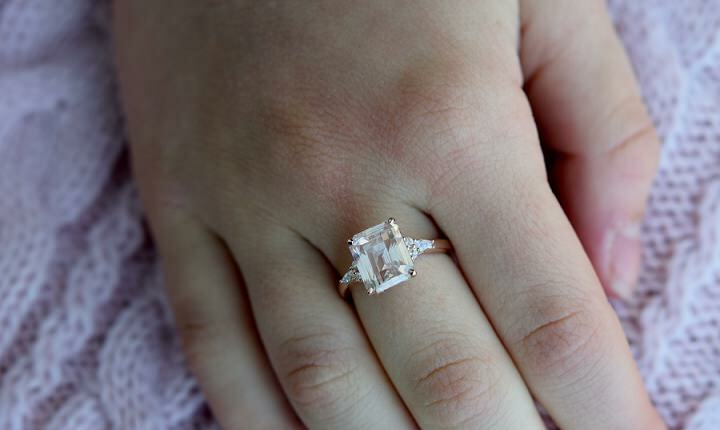 A year later, I opened Eidel Precious that specializes in Engagement rings. We are going to celebrate out 10 year anniversary in on May 15th, 2018. We are located in Toronto, Canada. Our customers are mostly from the US and Canada. We offer overnight shipping. 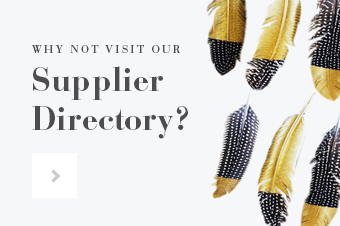 We sell a lot to the UK and Australia as well. 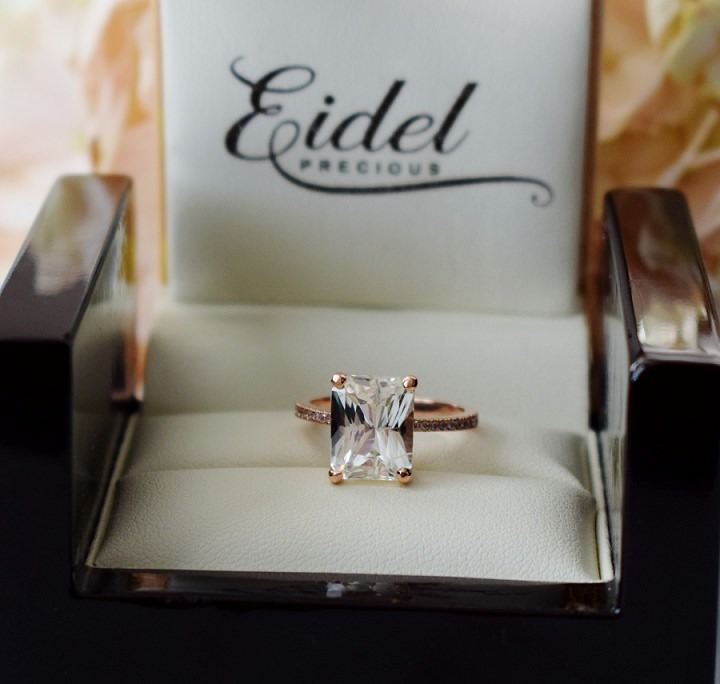 Although our engagement rings are non-traditional, Eidel Precious designs are very classy and delicate. 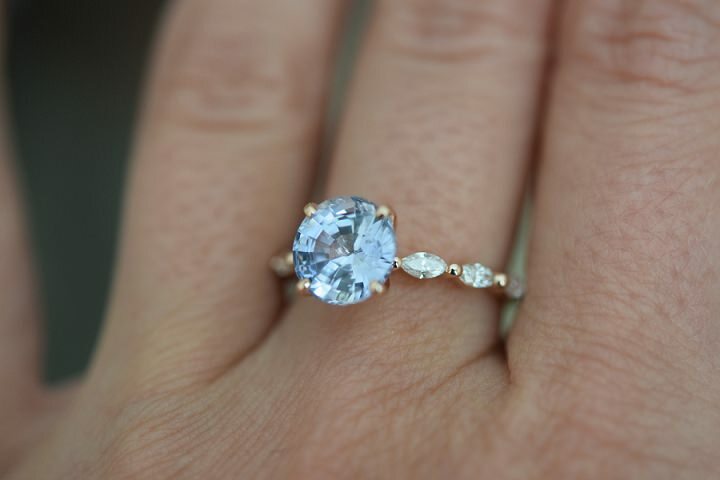 Because every stone we use is unique, most of our line is one of kind pieces. 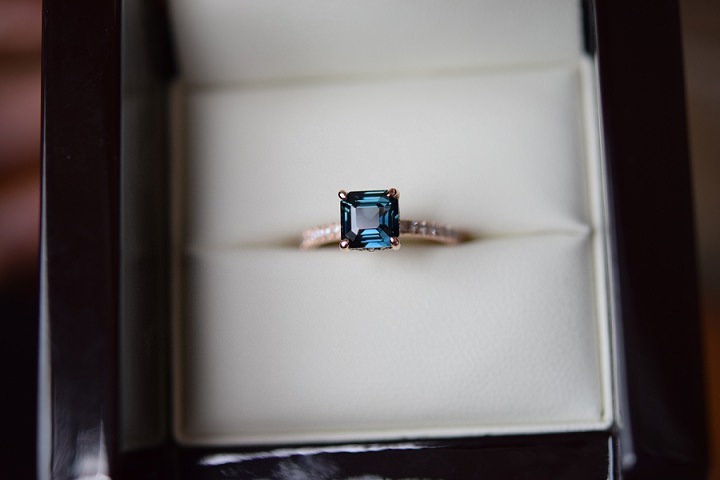 An Eidel Precious ring is an alternative engagement ring that would suit a girl who likes to be different and unique. 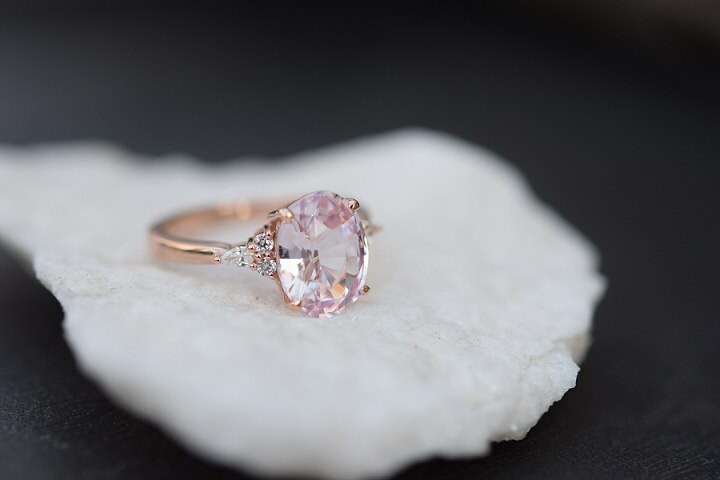 Rose gold engagement rings with Peach Sapphires or Peacock sapphires are the staple of Eidel Preciouls. I want every piece to look classy. I get inspiration from the color of each stone and try to match it to the color of gold to bring out the uniqueness of the hue. 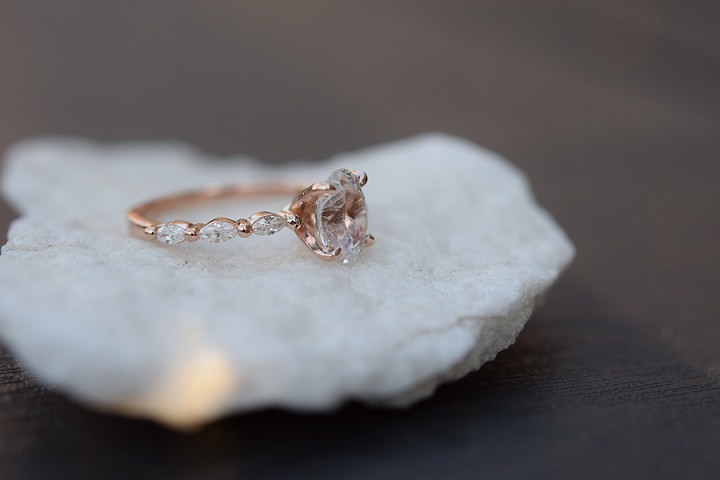 I started with one design, Eidel Precious Signature engagement ring that features a halo around the center stone and fleur de lis on the back. 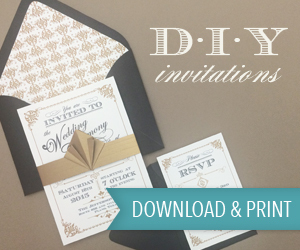 Now we offer 12 very different designs, all of them really popular! Uniqueness of my stones. I have a few amazing sources in Sri Lanka and bring sapphires directly from there. Eidel Precious was the first who introduced Peach sapphires and Peacock sapphires to the North American market. 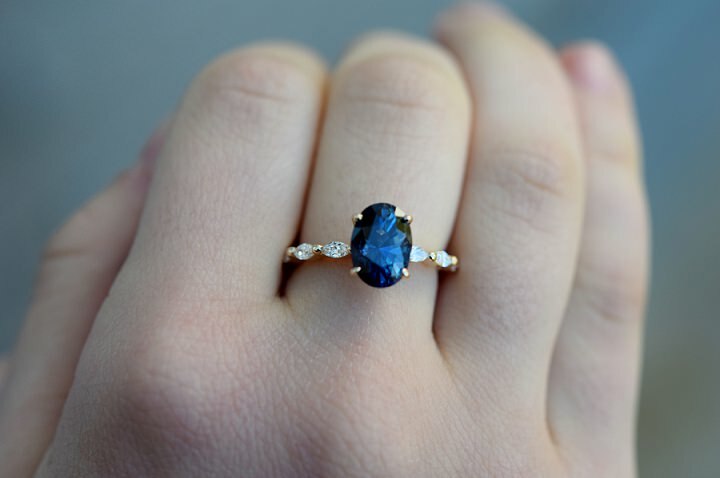 I try to find unusual colors and showcase them in my engagement rings. 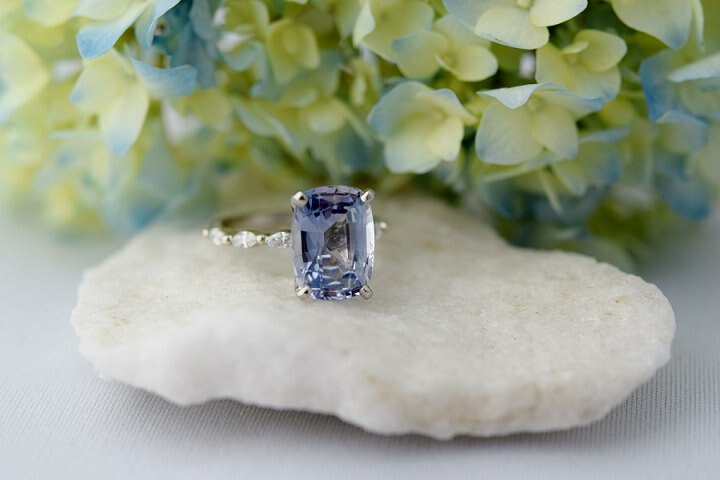 Sapphires are so versatile; they come in all imaginable hues. 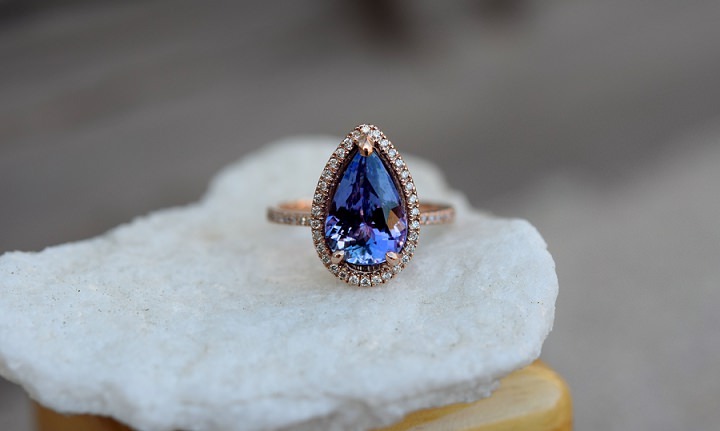 “Moody” sapphires that display peach, grey and purple hues are my latest discovery. All my stones are ethically sourced and conflict free. I try to come up with a new design once or twice a year. 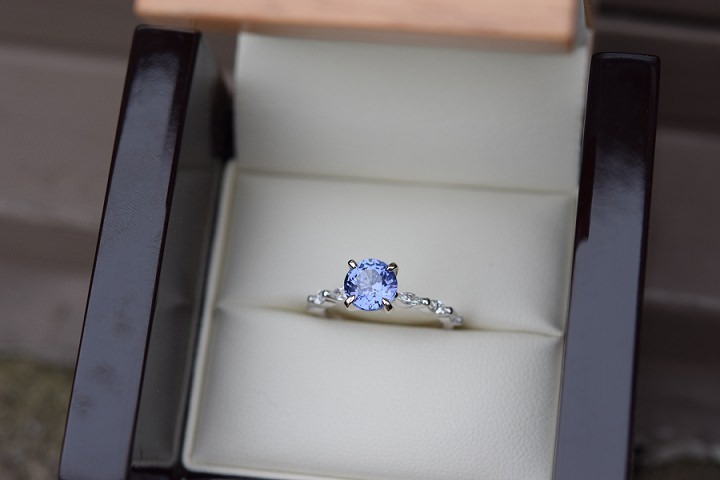 And last but not least, our engagement rings are affordable. 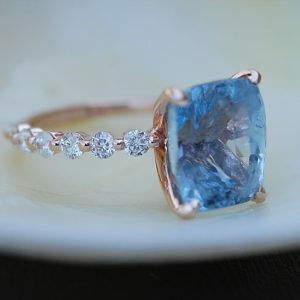 I like the creative part, every gemstone is so unique! I love to make sure a setting matches the gem`s “personality”. I love multitasking, being busy in a workshop, communicating with customers and suppliers, picking gemstones. 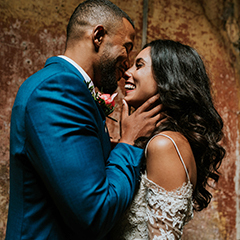 And of course I like the rewarding part, receiving pictures, proposal stories and reviews. 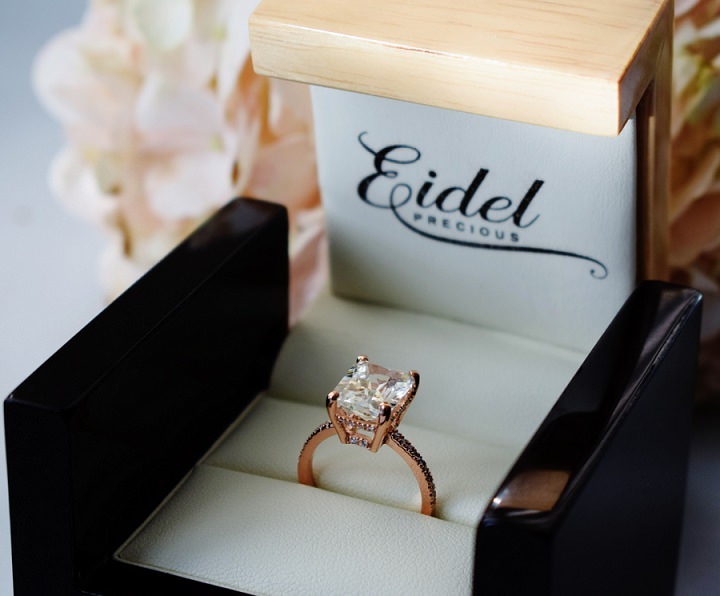 In 10 years over 4000 girls were proposed with Eidel Precious rings, it sounds pretty amazing! Mostly young couples, a lot of students. 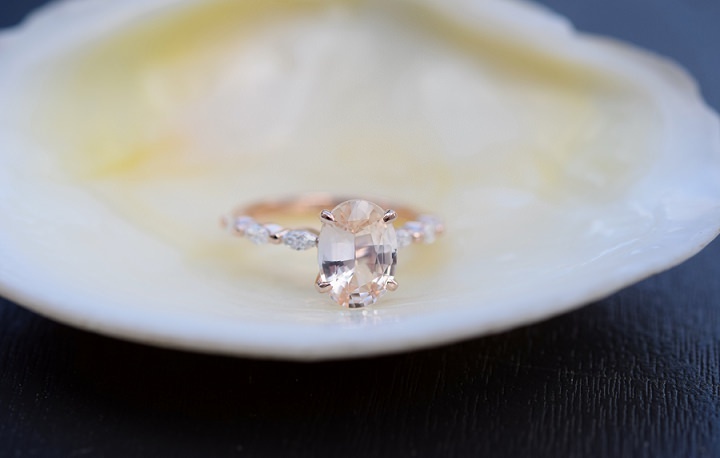 People who want to have a ring that suits their personality rather than a standard 3-monthly-salary-priced diamond. 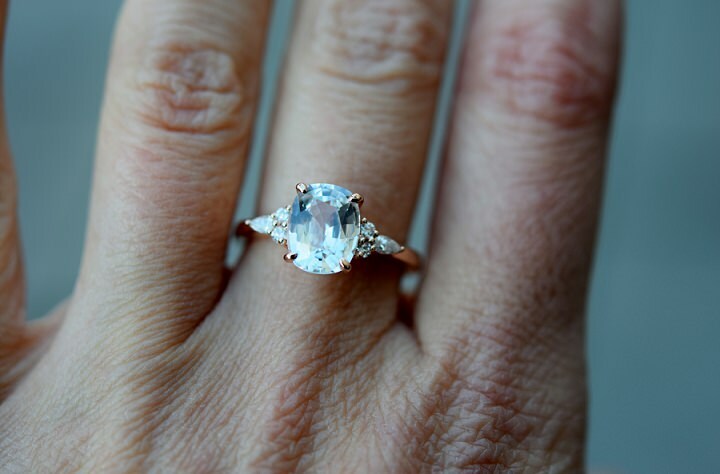 One young man wrote me about his fiancée after he proposed “If she was a piece of jewelry, she would be This Eidelprecious Ring, it matches her so perfectly, it is her”. 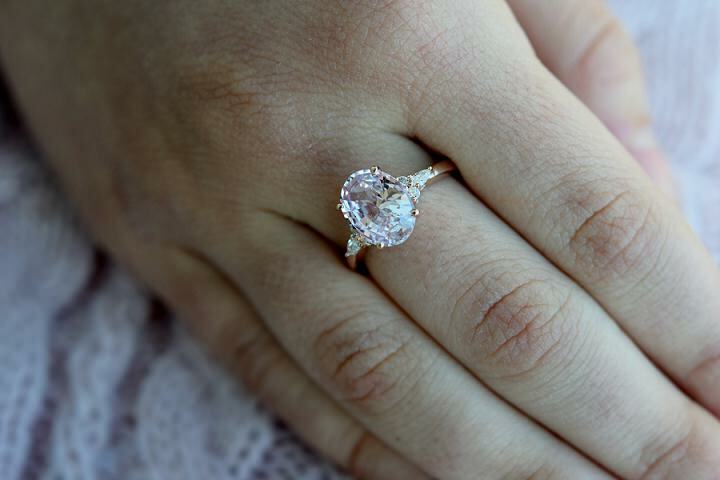 Our rings are priced at 1.5k-15k USD. 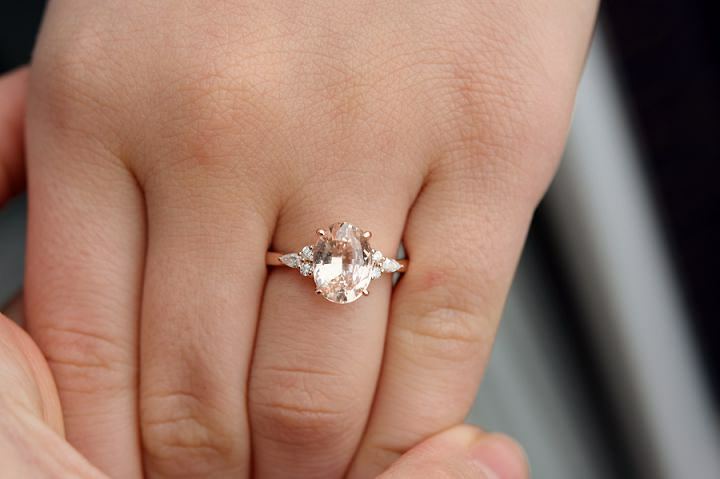 Statistically, 2-3k USD engagement rings make most of our sales. I love nature! 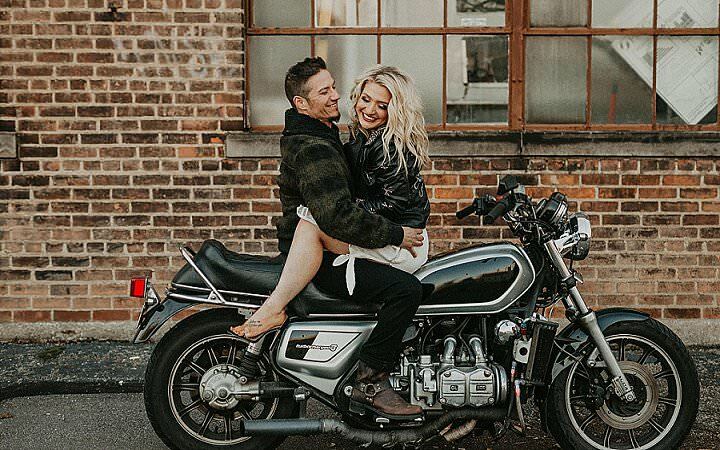 A day by the ocean or in the mountains sounds like a dream! My car keys. I drive everywhere, my schedule is pretty hectic. Walking is reserved for vacation. Surprisingly, my family. I left home in my early 20th to study abroad and we never got together since. I lost my Mom 2 years after I left and my grandparents shortly after. My dream would be to have all my family back again around my dinner table in Toronto.